Years ago I had a co-worker who had a saying: credit cards don’t come with instructions! How true. On the one hand having a credit card makes buying so easy. Just hand over your card, and worry about paying later. No need to carry cash. No need to carry around your checkbook. No need to even visit a store in person. What could be easier? But on the other hand, having credit also makes it so easy to spend more than you can afford — and get quickly overwhelmed with debt! Sadly, many people don’t learn about credit until they get their first credit card. They usually don’t learn this type of financial information in school. And they often don’t learn it from their parents either. Sure, they might hear the warnings about only buying what you can afford, saving for the future, and managing your money wisely. But like many lessons in life, we don’t learn how credit works until we experience it for ourselves. Not that learning lessons first-hand is bad. But when it comes to credit cards, the truth is that avoiding debt problems is much, much easier than dealing with them! When you are young and just starting out as an adult, getting credit is often quite easy. Back when I was in college I got an American Express credit card BEFORE I graduated — which means before I got a job and started making money. Why would any bank give a college kid credit? Because they knew I would soon get a job and they wanted me as a customer before I knew better. I knew this was a big responsibility, but I should have never applied for the card until I was really ready. In a perfect world, the banks would be able to see that you are getting yourself into debt and not keep giving you more credit. But as long as you are making enough money, and as long as you are paying on time, you mean one thing to the banks — profit! So they’ll keep approving you for more and more credit, until one day you’re in over your head. Of course, this is not their fault — it’s your fault for not taking care of yourself. But it is still a hard lesson to learn that the banks don’t care about how much debt you have, they only care about how much money they can make from you. Not the banks. Not the stores. Not your employer. So stop blaming others for your financial problems, and take control. Set a goal. Make a commitment. Write out a plan, then follow it until you achieve your goal. 4. You Don’t Have to Live with Bad Credit Forever (or Even 7 Years). Typically bad credit — such as late payments, being over your credit limit, accounts that go into collections, and debt settlements — will remain on your credit for 7 years. But there are ways to repair your credit and get the bad credit removed, and you can do it legally and ethically. Just get a good credit repair manual, and follow the instructions. It takes some time and effort, but you can usually get quite a few negative items removed, and improve your credit score. 5. For Many People “Perfect Credit” is an Illusion. Quote often people will say “I have so much debt I can’t pay it but I don’t want to do anything to ruin my perfect credit.” Well, perfect credit means more than just paying on time. It means not having so much debt you can’t afford to pay for regular living expenses. It means realizing that if you can’t pay, then you shouldn’t be using credit anyway. So this idea of perfect credit just because you pay in time is really just an illusion. And one final tip — if you end up getting into trouble with too much debt or end up damaging your credit, don’t panic. There are legitimate ways to get out of debt and fix credit problems. But there are no “secrets” that will help you fix either overnight. So don’t fall victim to one of those companies or experts you see on late night TV. If it sounds too good to be true, then it usually is. Consider that bonus lesson #6! @Joy – Checking your own score doesn’t affect it. Here are some ways to check your scores for free. I know that checking your credit can effect your credit score. How much effect does it have? Great tips. This should be a must read for college students! @Another Terry, sounds like a rough situation. I got a few really bad items, it wasn’t easy but it worked for me. Good luck. You are absolutely right! 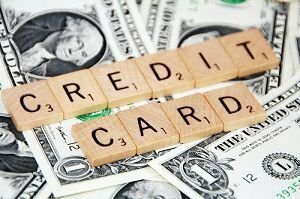 That credit card is sure is easy to get the first time, but the easy credit isn’t as easy to keep! Most card issuers will give a starter credit card to most everyone on planet earth. If that doesn’t tell you something about the fees, interests, and costs of a credit card (you don’t think they’re in it to lose money, do you?) then I don’t know what will! Yes, sometimes you DO have to live with bad credit for more than 7 years, and perhaps indefinitely. Ten years ago I abruptly went from slightly above minimum wage to no income, in hospital, and unable to work for over a year. During this time all my open accounts were closed and charged off, one creditor sued me and won a judgment, and I had to move cross country to live with relatives (I had no money and could not continue to pay rent). When I returned to work it was at a different minimum wage job. Just before the statute of limitations would have run, another old creditor sued and won a judgment. Other debts have been sold and re-sold to debt scavengers who re-aged my accounts, thereby keeping them ‘fresh’ on my credit report and my scores in the tank. I don’t have any money and therefore cannot resolve the debts, and they seem to be stuck to my credit report.